Admission is free and so is the music! The application for the 2019 Brat Days Charity Challenge will be available soon, stay tuned! Brat Days has something fun for people of all ages! Pumping tunes, entertainers, wild rides, contests, and so much more. Come down to Brat Days this year to see what it’s all about! We need your help! Brat Days thrives on the success its volunteers provide every single year, and this year is no different. Come help us celebrate the spirit of the community, and get a few perks while you’re at it! 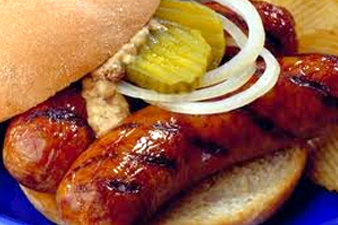 What do you like about Brat Days? What recommendations do you have that will make future Brat Days better? What is your favorite memory from Brat Days over the past 65 years? Everyone 21+ must show ID to receive a FREE wristband to be able to consume our delicious malt beverages. We’ve added some new choices to our selection that you are sure to enjoy! We’re teaming up with the Sheboygan County Food Bank to collect donations at Brat Days! Donate 3 non-perishable items to receive $1 off parking on the grounds.